Fact: Coldplay star Chris Martin thrilled pal Elvis Duran by turning to salute the U.S. radio personality as he was honoured with a star on the Hollywood Walk of Fame on Thursday (02Mar17). 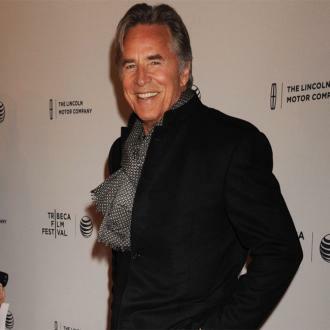 Quote: "I loved the whole concept of trying to present your entire musical life in 12-and-a-half minutes. It's a great challenge... We've possibly got 11 good minutes, so we have some special guests and they'll cover the rest." Chris Martin jokes about Coldplay's Super Bowl half-time set. The band will perform during the big game with Bruno Mars and Beyonce on Sunday (07Feb16). Quote: "I started to miss a day of food once a week and at first I thought, 'This is crazy!' And then I found that it made me really grateful for food and life in general." Coldplay star Chris Martin starves himself every seven days. Quote: "I'm a big fan of Harry’s. He’s lovely. I wanted to open a barbershop with him, called Hairy Styles, but he wouldn’t." Coldplay star Chris Martin jokes about a business venture with One Direction star Harry Styles that fell flat. Quote: "Everyone who got asked to sing on our album has an important part in our lives... The 'choir' started with my two kids coming in after school and recording. We recorded Blue Ivy Carter in New York when her mum Beyonce was in the studio." Coldplay star Chris Martin on the guests featured on the band's new album. They include his ex-wife Gwyneth Paltrow and new girlfriend, Annabelle Wallis. Fact: Coldplay frontman Chris Martin's first acoustic guitar has gone under the hammer at an auction in London for $28,500 (£19,000) - more than twice the guide price. The instrument, which Martin bought in his hometown of Exeter, England when he was a teenager, featured on Coldplay's debut album, Parachutes. It was expected to sell for between $10,500 (£7,000) and $13,500 (£9,000). Quote: "I never wanted to do a proprietary brand. I wanted it to be its own thing that my children can run one day if they want to!" Actress Gwyneth Paltrow hopes her children with Chris Martin, 10-year-old daughter Apple and son Moses, eight, will one day take over her lifestyle website Goop.com. Fact: Gwyneth Paltrow and her estranged husband Chris Martin eschewed romance on Valentine's Day (14Feb15) by spending it together with their two children. The former couple was pictured walking arm-in-arm on a beach in California on Saturday (14Feb15) along with their kids Apple and Moses. Fact: Gwyneth Paltrow celebrated her 42nd birthday with another star-studded birthday party on Saturday (27Sep14). Celebrities seen arriving at her home in Los Angeles included her ex-husband Chris Martin, Kate Hudson, Nicole Richie and Toby Maguire. Paltrow first celebrated her birthday with Cameron Diaz on Friday (26Sep14) at AOC Wine Bar and Restaurant in Los Angeles. Quote: "I've signed basically anything you can think of - children, new cars, people's phones, people's particulars." Coldplay star Chris Martin is asked to autograph many odd things. Quote: "I don't even think she asked. I just said, 'Please, can I try something?' She has so many amazing people writing for her that it's like trying to win American Idol, getting a song on Rihanna's album." Coldplay frontman Chris Martin is trying to persuade Rihanna to let him write a new song for her. Fact: Coldplay frontman Chris Martin treated fans who attended an intimate solo set at New York's The Box nightclub on wednesday (06Aug14) to renditions of his band's hits Clocks, Yellow and Viva la Vida, as well as a cover of rapper Iggy Azalea's summer smash Fancy, according to the New York Post. Quote: "She can sing so much better than me. I don't want to be humiliated in that fashion. I was in the car yesterday and Problem was on; I was like, ''I just can't do that'." Coldplay star Chris Martin laughs off reports he's planning a collaboration with Ariana Grande. Quote: "I don't really love talking about this stuff, but the thing we told everyone at the beginning of the year is true. We are very close, we are not together... That's the truth... and that's it... There's a lot of love. So there's nothing... No scandal I'm afraid. I wish I could give you scandal." Coldplay star Chris Martin dismisses reports suggesting he and estranged wife Gwyneth Paltrow are back together during a recent interview with Los Angeles DJ Valentine, which will feature on his show on Monday (28Jul14). Quote: "I eat meat. I was vegetarian for quite a long time and then for various reasons I changed. My daughter's vegetarian since she was born, so I keep getting tempted to go back. I don't eat very much meat. I felt like you should only eat something that you'd be able to kill... You know, could you kill a fish? I wouldn't like it, but I probably could, so I'll eat the fish. But a giraffe..." British rocker Chris Martin is no longer following the strict vegetarian diet favoured by his estranged wife Gwyneth Paltrow following their separation in March (14). Quote: "I'm saying One Direction are brilliant. I'm not kidding." Coldplay star Chris Martin is a big fan of the pop boyband. Fact: Chris Martin had the audience at the Rock and Roll Hall of Fame induction ceremony in New York laughing on Thursday (10Apr14) as he feted former Genesis rocker Peter Gabriel - the Coldplay frontman opened his speech by stating that he was going to read from the Bible's Book of Genesis, only to then start reciting a fictional passage about an "angel called Gabriel" who told "the Phil that was of Collins", 'I bring you this good news. I am going solo. Ye shall be the singer of Genesis now'." Fact: Gwyneth Paltrow and Chris Martin celebrated their 10th wedding anniversary on Thursday (05Dec13). The couple, which is parents to two children, married in California on 5 December, 2003. Quote: "He's the nicest guy. And he doesn't make me feel nervous, but when you have so much respect for someone... it's difficult not to." Harry Styles shares his respect for his musical icon, Coldplay frontman Chris Martin. Fact: Coldplay star Chris Martin can now legally drive in his adopted Los Angeles after passing both his motorcycle and motor vehicle tests in Santa Monica, California. The singer aced the tests on Wednesday (18Sep13), a day after his wife Gwyneth Paltrow passed her Vespa test and renewed her driving licence. Fact: Gwyneth Paltrow and Stella Mccartney recently hosted a star-studded "English garden party" in The Hamptons, New York, to launch their new fashion collaboration. The designer's dad Sir Paul McCartney, Sarah Jessica Parker, Cameron Diaz, Paltrow's husband Chris Martin and mum Blythe Danner were among the guests celebrating the new Stella MCCartney x Goop collection, which is available on the actress' Goop.com website. Quote: "It's hard being married. You go through great times; you go through terrible times. We're the same as any couple." Actress Gwyneth Paltrow insists her marriage to Coldplay rocker Chris Martin has been tested over the years. The couple, parents to two children, will celebrate its 10th wedding anniversary in December (13). Fact: Rap superstar Jay Z and his close pal Chris Martin were among the stars at London's Emirates Stadium on Sunday (28Apr13) to watch home team Arsenal take on Manchester United. The Premier League match ended in a 1-1 draw. Fact: Gwyneth Paltrow and her husband Chris Martin treated their two kids to a day out at Britain's Legoland attraction on Saturday (27Apr13). Quote: "He can't have background music on: it has to be 100 per cent of his attention. But if he isn't at home, I turn on the hip-hop - I'm like a bad mutha rapping along to every word as I cook." Gwyneth Paltrow secretly enjoys the times her husband Chris Martin is away from home as it gives her the chance to listen to rap music in the kitchen. Quote: "I chose the best father. (Chris) is so good to the children and to know that you had kids with such a good man is a real weight off you." Actress Gwyneth Paltrow gushes about her rocker husband Chris Martin's skills as a parent to their two children, daughter Apple, eight, and son Moses, six. Quote: "The reason why I came to the concert is 'cause (because) a very nice gentleman who worked in the building where we live sadly passed away so I'm gonna send this out to his family, this is for Anthony." Coldplay frontman and part-time New York resident Chris Martin dedicates a song to one of the victims of superstorm Sandy during his performance at 12-12-12 Concert for Sandy Relief at New York's Madison Square Garden. Quote: "I know that you really wanted One Direction but it's way past their bedtime, so that's why you get one quarter of Coldplay (instead)." Chris Martin pokes fun at the teen pop sensations during his late night set at the 12-12-12 Concert for Sandy Relief at New York's Madison Square Garden. Quote: "Goodness knows it's weird to be the youngest member of a bill like this and if you're gonna donate tonight just think of a figure which you think might be the average age of the performers then I think we'll raise billions!" Rocker Chris Martin jokes about the veteran musicians who rocked the stage at the 12-12-12 Concert for Sandy Relief benefit in New York's Madison Square Garden, including Sir Paul MCCartney, Bruce Springsteen, Billy Joel, Eric Clapton and The Who. The 35-year-old Coldplay frontman was in fact the third youngest on the bill - Alicia Keys was the youngest at 31, followed by Kanye West, who is three months younger than Martin. Quote: "We laugh a lot - and at the same jokes. We like the same music and like to do the same things." Gwyneth Paltrow reveals laughter is the key to her strong relationship with her rocker husband Chris Martin. Tweet: "Thank you so much for your kind messages about the Paralympics closing ceremony. We had the best time and were so proud to be part of it." Coldplay frontman Chris Martin was pleased with the band's performance at the end of the London 2012 Paralympic Games. Quote: "Kids are very honest - if they start singing a song it's because they like it. It's a great gauge." Coldplay frontman Chris Martin trusts his children Apple, eight, and six-year-old Moses' judgement on his music. Quote: "When we played Wembley Stadium I was like, 'Wow, now we are big rock stars', but next morning the kids were saying, 'Get me some pancakes'." Coldplay rocker Chris Martin's feet are kept firmly on the ground by his kids Apple and Moses. Tweet: "As a band we would like to send our love to anyone affected by the terrible events in Aurora." 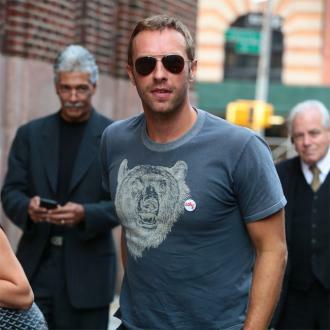 Chris Martin and his Coldplay bandmates reach out to those affected by the movie massacre in Colorado last Friday (20Jul12). Twelve people were left dead after a shooting during a screening of The Dark Knight Rises. Fact: Superstar couple Gwyneth Paltrow and Chris Martin have expanded their property portfolio after snapping up a six-bedroom Los Angeles estate, which was on the market for $10.4 million (£6.5 million). Quote: "One of the most famous ones - which I weep to every time I hear it - is 'Fix You'. He wrote that for Gwyneth when her father Bruce died - he missed meeting Bruce by a couple of weeks." Gwyneth Paltrow's mum Blythe Danner cries every time she hears her son-in-law Chris Martin's track Fix You, which he wrote after the death of the actress' father in 2002. Fact: Actress Gwyneth Paltrow and rocker Chris Martin's children Apple, seven, and Moses, five, are trilingual. The couple's former nanny was Spanish and the kids' current caretaker is French so both tots learned each language at a young age. Quote: "She's very sweet. I think what undercuts it all, though, is that she's talented and she writes everything. I just admire all of the hats and the dresses and the madness and everything because I know that underneath it all she can beat me at writing choruses." Coldplay rocker Chris Martin is a big fan of Lady GaGa. Quote: "If I had the chance to join one band it would be Coldplay, without a doubt. I'd move Chris aside, get him on the guitar and that would be me." Take That star Gary Barlow would love to be part of Chris Martin's group. Fact: Coldplay frontman Chris Martin showed off his dance moves on late night TV in America on Friday (12Nov11) after confessing he used to get down and perform 'The Worm' at parties when he was younger to attract girls. He told Late Night host Jimmy Fallon, "It was before I was in a band and I thought, 'I've got to do something to make that girl look over here; I'm gonna do The Worm.'" Quote: "I was 11. It was a terrible song about people being more obsessed with Sarah Ferguson's t**s than what was really happening in the world. It was quite a media-savvy song. I was very socially-motivated at that age." Coldplay star Chris Martin on the first song he ever wrote. Quote: "I love his music, and he's a super cool guy, and he's genuine. I respect his decisions, and we have the same feelings about trying to be true in your art. It just happens that one of us is a nerd and the other is the coolest multi-entrepreneur on the planet." Coldplay frontman Chris Martin treasures his close friendship with rap mogul Jay Z.
Quote: "We all love The X Factor and we enjoy the show, but we can't go on it. We do something different and we're far too old." Chris Martin insists Coldplay won't be making an appearance on Simon Cowell's TV talent show. Fact: Coldplay frontman Chris Martin handed a fan $32 (£20) to buy some new boxer shorts during an interview for Britain's Absolute Radio after the man revealed he only changed his underwear once a week. Quote: "She's been a great beard for me now, for 10 years... It's hard to believe." Coldplay star Chris Martin jokes about his 'sham' marriage to Gwyneth Paltrow. Quote: "I think a lot of people like me and Jonny (Buckland) join bands because we were really not doing so well." Coldplay frontman Chris Martin on why lonely boys join bands. Quote: "I'm not afraid to admit it, they made me ask the question, 'Am I gay?'" Coldplay rocker Chris Martin reveals a man-crush on British pop band Take That. Quote: "Will texted me today saying, 'The reason I'm not there today is because I prefer Kasabian. Even though some people say we're the s**ttest band on the planet, I salute you.'" Coldplay frontman Chris Martin reveals the reason his bandmate Will Champion declined to attend Britain's Q Awards, where the Yellow hitmakers were named the Best Act In The World Today. Quote: "He definitely wouldn't have taken my sneakers because mine were always a lot (sic) too dirty for him. I don't know. He wouldn't have touched me then. He's too sweet underneath. I don't believe that from him." Coldplay frontman Chris Martin doubts his good pal Jay Z would have been so mean as to rob him during the rap superstar's days as a drug dealer on the streets of Brooklyn, New York. Quote: "I'd get sent home from the first audition of So You Think You Can Dance. My dancing is sort of controlled spasms. I fully accept it might appear ridiculous. But it's passionate!" Coldplay rocker Chris Martin admits his dance moves leave much to be desired. Quote: "Man, I'm the last person in the world who can give advice. Every day is just like you're bluffing as best you can to try and not f**k it up." Father-of-two Chris Martin admits he's not one to share fatherhood tips with his close pal, rapper Jay Z, whose wife Beyonce expecting their first child in February (12). Quote: "She's a good actress. I am biased but I am also right. The Royal Tenenbaums is one of her best performances." Coldplay rocker Chris Martin is a fan of his wife Gwyneth Paltrow's films. Quote: "With people like Beyonce and Lady Gaga... Well, it's different for girls. If you're very attractive, you get more attention, you need more attention - like Beyonce. People would stare at her if she was a bus driver." 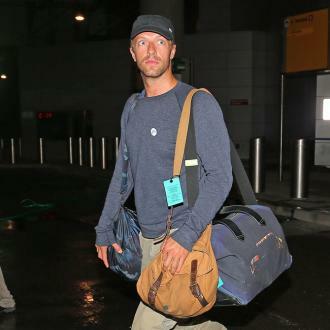 Coldplay frontman Chris Martin is happy to keep a low-profile despite his rock star status. Quote: "Let's face it; it's like winning the lottery." Chris Martin jokes about his marriage to Gwyneth Paltrow. Quote: "Our whole household is obsessed with Jay Z and I have a weakness for Katy Perry's Last Friday Night." Coldplay star Chris Martin on the music he listens to. Quote: "I don't really want a funeral. All I want when I die is a simple tribute concert at Wembley Stadium. That's all I ask. And maybe a covers album." Coldplay frontman Chris Martin dreams of a lasting legacy after his death. Quote: "It's a mystery, but we like that. We just invented two words that you couldn't even Google. We tried it and got no results." Coldplay frontman Chris Martin explains the strange title of the band's upcoming new album, Mylo Xyloto. Quote: "(He's) a musical genius. It's like living with Picasso and being like, 'Should I make a little something-something?'" Hollywood star Gwyneth Paltrow refuses to bug her rocker husband Chris Martin with her own music endeavours. The actress has been showing off her vocal skills after successful stints in hit TV musical Glee and her collaboration with Cee Lo Green at the 2011 Grammy Awards. Fact: Gwyneth Paltrow had the best seat in the house for her husband Chris Martin's performance with his band Coldplay at British festival Glastonbury on Saturday night (25Jun11) - she watched the show from the security pit in front of the main stage, just feet from the band. Quote: "He always thought I should sing more. He's on such another level, he's such a genius musician and songwriter so it's a little embarrassing to be like, 'Hey, I'm a (singer too)'. He likes it." Gwyneth Paltrow's Coldplay rocker husband Chris Martin is fully supportive of his actress wife's new career as a singer. Fact: Gwyneth Paltrow and Chris Martin celebrated their son Moses' upcoming fifth birthday party with a family outing to Britain's Legoland theme park this week (beg04Apri11). Moses turns five on 8 April (11), just 10 days before Tom Cruise and Katie Holmes' daughter Suri turns five. Quote: "Never. I think hell would freeze over first. So I guess if I did it would be called the Hell Freezes Over Band." Budding singer Gwyneth Paltrow rules out ever forming a band with her rocker husband Chris Martin. Quote: "I want to play tiny gigs in a folk band with Chris. That would be delightful. We'd have to go to really small pubs and bars in the country and probably have a secret name so no one would find out. Gwyneth has a great little voice, so she could join too." Actor Simon Pegg jokes about setting up a group with his rocker pal Chris Martin and wife Gwyneth Paltrow. Quote: "(It's about) love, addiction, OCD, escape and working for someone you don't like. (It's also a) thinly veiled account of what happens within the group". Chris Martin reveals Coldplay's currently untitled new album will be a reflection on their life within the band. Quote: "My kids are really into pop music, and it's crazy. They're singing like, 'Throw my hands up in the club,' and I'm like, 'You're four, OK?'" Gwyneth Paltrow laughs off the surprising musical tastes of her two kids with Coldplay rocker Chris Martin. Quote: "Learning to play guitar was so hard! Luckily my family tolerated me while I was practising. I was pretty bad." Gwyneth Paltrow on perfecting her music skills around her rocker husband Chris Martin for new movie COUNTRY STRONG. Quote: "Chris Martin from Coldplay has been incredible to me. I've been a huge fan for years. Having him reach out to me so many times saying, 'Congratulations, I'm so happy for you' is wonderful." Taylor Swift is proud to count rocker CHRIS MARTIN as a fan. Quote: "When we were deciding which one of us would be Coldplay's singer, we made our drummer Will Champion do this one. He does the best Axl (Rose) in the group." COLDPLAY frontman Chris Martin on GUNS N' ROSES tune MR. BROWNSTONE. Quote: "I would follow him to Mount Sinai and listen to his every word." Rocker Chris Martin believes Bruce Springsteen is the second coming of Christ. Quote: "I'm a bit superstitious, so if I have a new house, this is always the first song I play there." Coldplay star Chris Martin on U2's A SORT OF HOMECOMING. Quote: "No! No, no, no, no, no! He wouldn't ask me to either. I would be the worst person to come to - I would write the most s**t lyrics of all time. The kids could probably write better songs than me." Gwyneth Paltrow would never help her rocker husband Chris Martin write songs. Quote: "That's like being asked to dance by Robert Pattinson if you're a young girl. Imagine if Robert Pattinson called and asked, 'Do you want to touch my b**ls?'" Chris Martin hopes Coldplay is asked to play at Britain's legendary Glastonbury festival next year (11). Quote: "Like he has time to be my guitar teacher! I think he's doing OK with his day job. I'm not sure he's going to take up guitar teaching. But he was encouraging." Gwyneth Paltrow laughs off reports her rocker husband Chris Martin taught her how to play the instrument for her new movie COUNTRY STRONG. Fact: Gwyneth Paltrow and Chris Martin's daughter Apple showed off her horse-riding skills at the 35th Annual Hampton Classic Horse Show in New York this weekend (04-05Sep10). The six year old competed in Leadline, the division for the event's youngest riders. Fact: Gwyneth Paltrow and Chris Martin's daughter Apple took part in the 35th Annual Hampton Classic Horse Show in Bridgehampton, New York on Saturday (04Sep10). The six year old rode in Leadline, the division for the youngest riders. Fact: Chris Martin's childhood home in Devon, south-west England is on the market for $2 million (£1.35 million). The Coldplay rocker's parents, Anthony and Alison, are planning to downsize. Fact: Reclusive couple Gwyneth Paltrow and Chris Martin enjoyed a rare night out together in London on Wednesday night (30Jun10), stepping out to watch Kings Of Leon play in the city's Hyde Park. Quote: "It's more abstract the way that they do it; it's not like, 'Today she made me an omelette and it was really terrible...'" Gwyneth Paltrow insists she makes it into husband Chris Martin's Coldplay songs - but not in an obvious way. Quote: "Chris is terrible. The cheaper the better and I think he's transferred it to (son) Moses. When I try to give my husband a piece of (organic chocolate) Green & Black's, he's like, 'Get that stuff away from me'." Gwyneth Paltrow reveals her husband, Coldplay rocker Chris Martin, has a sweet tooth. Quote: "Michael Stipe from REM once told me to wear tighter trousers. We did and we had a number one." 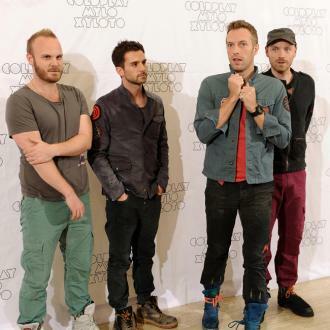 Chris Martin is convinced Coldplay's success is down to their tight-fitting denims. Quote: "I got in trouble once... about the Apple thing. I made fun of the Apple name... I've apologised since." Actor Charlie Sheen has apologised for poking fun at the name of Gwyneth Paltrow and Chris Martin's daughter. Quote: "I think we might not tour for a while after this tour. We might take a couple of weeks just to do some laundry." Coldplay frontman Chris Martin reveals the band will take a well-earned break once they wrap up their current world tour. Quote: "It would probably mean I've been dumped by my wife and I desperately needed money. Hell would not only have to freeze over but skated over and closed up. The Pope would have to declare it didn't even exist. I cannot think of anything worse." Gwyneth Paltrow would have to leave Chris Martin before he could consider releasing music without Coldplay. 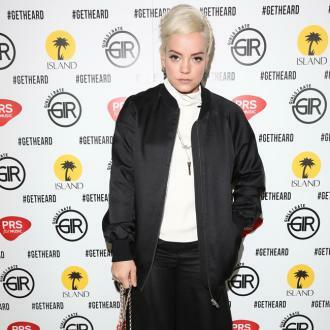 Quote: "Lily Allen is fantastic. She's one of those people who is so cool that whenever I meet her I feel like I'm back at school and none of the girls like me any more." Coldplay star Chris Martin is in awe of the SMILE singer. Quote: "It was my husband's idea to name our daughter Apple and I thought it was really cool. I like unusual names. Moses is a big name. My father was Jewish and his Hebrew name was Moses, so we just thought it was a good name." Gwyneth Paltrow is proud of the names she gave her two kids with husband Chris Martin. Fact: Coldplay star Chris Martin treated his kids Apple and MOSES to a day out at Disneyland in California on Saturday (04Apr09). The family was without mum Gwyneth Paltrow who is currently filming IRON MAN 2 in Los Angeles. Quote: Were like Vegemite in many respects. A lot of people like us, but many more people dont. Id like to convince everyone that our particular brand of Vegemite is brilliant, but its never going to happen. Coldplay star Chris Martin on the band's appeal. Quote: I always feel like my dads going to burst through my bedroom door at any moment and wake me up to go back to my real job. Coldplay star Chris Martin loves life as a rock musician. Fact: Coldplay frontman and dad-of-two Chris Martin is set to team up with Australian kids' TV stars THE WIGGLES on a track entitled FRUIT SALAD. Quote: "I have to brush my teeth before I go on stage otherwise I don't feel smart enough." Coldplay frontman Chris Martin on his pre-concert ritual. Quote: "Chris sort of hides his Grammys. I don't even know where his Grammys are. My Oscar is kind of hidden too... We haven't built a display case or anything. Gwyneth Paltrow insists she and rocker husband Chris Martin are humble about their awards. Quote: "We fly straight to Australia after the Brits, which is crazy. At least weve had a chance to watch Batman in The Dark Knight a few times on flights. Coldplay frontman Chris Martin. Quote: "Its the closest thing we have to the Olympics in the music world. Its a chance to see who is good and who is bad and who youve got to compete with over the next few years. And hopefully, someone will get drunk and do something funny. Coldplay frontman Chris Martin always enjoys the Brit Awards. Quote: "Asking whether the Brits or Grammys are more important is like asking what SPICE GIRL you would rather pull (kiss). Theyre all great." Coldplay frontman Chris Martin can't choose between the two music awards shows. Quote: "My husband's in Japan. But I've got JAY-Z, so that's even better." Hollywood actress Gwyneth Paltrow enjoys hanging out with her rocker husband Chris Martin's best pal Jay-Z while he is on tour with his band Coldplay. Quote: "They should win. I just think that band are awesome." Chris Martin tips Take That to walk away with the Best Band gong at the Brit Awards next week (18Feb09) - over his own band Coldplay, who are also nominated for the prize. Quote: "I can't dance like Usher, sing like Beyonce or write songs like Elton John. But we can do the best with what we've got. And we're enthusiastic." Coldplay frontman Chris Martin on his band's strengths and weaknesses. Quote: "They both have real heart. And they're fundamentally generous. Both of them are spiritually evolved. They're good, good men. They're flawed but they have the same texture on their soul. And they're both musical geniuses." Gwyneth Paltrow is full of praise for her husband Chris Martin and his close pal, rapper JAY-Z. Quote: "The only thing I get on the tube is 'are you James Blunt?'" Coldplay star Chris Martin often gets mistaken for the fellow Brit singer. Quote: "I would give them a three out of ten." Coldplay frontman Chris Martin doesn't think much of the band's recent shows at London's O2 Arena. Quote: "The main thing I've been listening to lately is Rhapsody in Blue by Gershwin. I listen to it most days because I just can't work out how someone is capable of writing that." 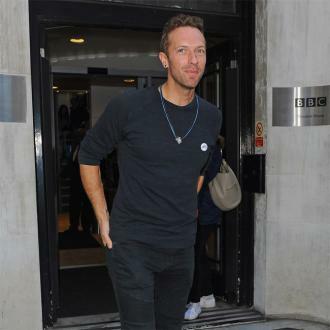 Coldplay rocker Chris Martin reveals his eclectic musical taste. Quote: "I cry at The X Factor. I cry especially at the X Factor. If you don't cry at the X Factor, you're not human. Coldplay frontman Chris Martin is a big softie when it comes to the British reality TV programme. Quote: "When you spend 23 hours a day stuck in a room with eight men, you're just happy to see someone with a skirt." Coldplay singer Chris Martin is always pleased to see women after working in the recording studio with his band mates. Quote: "We'll work with anyone that we love, and obviously we love Jay (Z). But we've done that now, so the most interesting thing that we could do is the complete opposite, and play banjo on a Miley Cyrus record." Coldplay's Chris Martin on what's next for the band after re-recording Lost with rapper JAY-Z. Quote: "I'm 31 now, and I don't think that bands should keep going past 33, so we're trying to pack in as much as possible." Chris Martin suggests Coldplay's days might be numbered. Quote: "Well, he better keep working on a song then, hadn't he!" Girls Aloud star Nicola Roberts on hearing Coldplay frontman Chris Martin is desperately trying to pen the hit band a track - but can't come up with one good enough. Quote: "I don't think we're the greatest band in the world; U2 are on holiday." Coldplay frontman Chris Martin jokes about being named Best Act In The World Today at the Q Awards in London on Monday (06Oct08). Quote: "I think our concert is the least s**t Coldplay concert at the moment that you could have possibly ever seen. Do you see what I mean? We're better than we used to be." Coldplay frontman Chris Martin insists the group's live shows have improved since they first started out. Quote: "There's something in the musicality of their world. It's not just what they do, but their rhythm, the way they are together." Gwyneth Paltrow's mother, Blythe Danner, is a fan of her son-in-law Chris Martin's band Coldplay. Quote: "I don't go to people's houses and hang out but I go to (Chris') house and hang out... Chris Martin has got a whole family. I'm like, 'What am I doing?'" Hip-hop mogul JAY-Z has been inspired to begin a family by Coldplay frontman CHRIS MARTIN. Quote: "(She is) the most beautiful woman in the world... except for my wife." Even when performing with beauty Alicia Keys, Coldplay frontman Chris Martin only has eyes for wife Gwyneth Paltrow. Quote: "They said we shouldn't have crows feet if we want to make it in America, so every day, at 1pm, we have what we call crows feet hour." Coldplay frontman Chris Martin reacts to criticism about the bands appearance. Quote: "It's a very rewarding experience. It's mentally cleansing. It's like washing dishes, but imagine if the dishes were your kids, so you really love the dishes." Coldplay star Chris Martin loves nothing more than changing his children's diapers. Quote: "When I was 12 or so, I stabbed my brother in the foot with a spade... I don't remember what he'd done." Coldplay frontman Chris Martin on the meanest thing he has ever done. Quote: "I was on holiday about 10 years ago in Tunisia, and two nights in a row I won a (karaoke) competition. I finally got beat by this fat guy from Burnidge (England). But where is he now, I ask?" Coldplay star Chris Martin on his karaoke skills. Quote: "I could never work out how to unbutton trousers." Coldplay star Chris Martin jokes about why he didn't lose his virginity until he was 22. Quote: "Most of the audience comes to see our handsome bass player, GUY (BERRYMAN), the music is really secondary." Coldplay star Chris Martin. Quote: "F**k it, let's cancel the gig. This is embarrassing. Let's go home. We come over here, we steal your women and we can't even play one song." Chris Martin was apologetic after his band Coldplay suffered a technical hitch while performing at Madison Square Garden in New York on Monday (23Jun08). Quote: "We don't see rock 'n' roll as being about coke-taking, leather trouser-wearing rebellion... It doesn't matter if you don't look as cool as the Ramones." Coldplay star Chris Martin. Fact: Chris Martin's pre-Coldplay bands included FLOATING INSOMNIA, IDENTITY CRISIS and the ROCKING HONKIES. Quote: "It sounds silly to say it now, but when you're a kid you think, 'I'm going to burn in hell for eternity if I like other guys or if I marry someone Jewish.'" Coldplay star Chris Martin on his heavily Christian upbringing. Quote: "The whole rock star myth, which is 40 years old and basically nonsense, has nothing to do with being a rock star. Everybody gets trashed and breaks things. By that standard, plumbers and heating engineers are just as rock 'n' roll as rock stars." Coldplay star Chris Martin. Quote: "It'll probably save the world. I don't want to blow my own trumpet, but I'd be surprised if it didn't put an end to all violence and suffering." Chris Martin jokes about the importance of Coldplay's new album VIVA LA VIDA. Quote: "America's public image at the moment is really bad, and it's a bummer because over half of Americans are the coolest people on the planet. But they've been so misrepresented." Coldplay's Chris Martin, who is married to American movie star Gwyneth Paltrow. Quote: "We got caught up in things we didn't enjoy, like people talking about share prices and investors... This time, we were hungry to disassociate ourselves from anything other than improving someone's holiday or bath time." Coldplay star Chris Martin insists the band have stopped taking things so seriously when recording and releasing albums. The group's label, EMI, was taken over by a private equity group shortly after the release of their last album. Quote: "We're still asking people to buy our record, but we're putting as much free stuff out there as possible. It's like the shopping channel that gives you a trampoline for buying a running machine." Coldplay frontman Chris Martin on the thinking behind the group's recent free single download and streaming concert give aways. Quote: "Without the band I would be playing Elton John standards on a cruise ship." Coldplay's Chris Martin has no plans to quit the group. Fact: Music producer Brian Eno hired a hypnotist to help Coldplay frontman Chris Martin dig out song and lyric ideas from his subconscious, while recording the group's new album VIVA LA VIDA. Quote: "I give myself an A for effort and man-hours but I'm not going to claim to be as talented as Usher or Beyonce." Modest Coldplay star Chris Martin. Quote: "If I'm fed up with being Mr. Coldplay, I try to pretend I'm Rihanna for a day. It's a far sexier way to spend 24 hours." Rocker Chris Martin on his odd fantasies. Quote: "You've got to be hungry. If your wife went out with Brad Pitt, you'd want to prove yourself, you know what I mean?" Coldplay star Chris Martin on the pressures of first dating his wife Gwyneth Paltrow. Quote: "Why wouldn't I want someone to bring out the best in me?" Coldplay frontman Chris Martin defends his decision to take singing lessons. Quote: "I don't think we're actually bigger than Girls Aloud. We're certainly not as attractive and we don't have a song as good as CALL THE SHOTS." Coldplay star Chris Martin insists the British girl group are much better than his own band. Quote: "Anyone who isn't into it is probably a c**t." Coldplay frontman Chris Martin reveals his thoughts about rapper JAY-Z's forthcoming controversial appearance at U.K. music festival Glastonbury. Quote: "We have a team of eight-year olds who work in a factory just outside London all the time and we go there and see what they got, and often they have hits, and we take them." Coldplay's Chris Martin jokes about using alternative ways to find new material. Quote: "I'm sure most English teachers would still put a red line through them." Coldplay frontman Chris Martin is convinced the band's latest lyrics wouldn't make the grade. Quote: "I'm always trying to work out what 'he' or 'she' or 'it' is. I don't know if it's Allah or Jesus or Mohammed or Zeus. But I'd go for Zeus. I lay claim to being the only person in the world who still believes in Zeus." 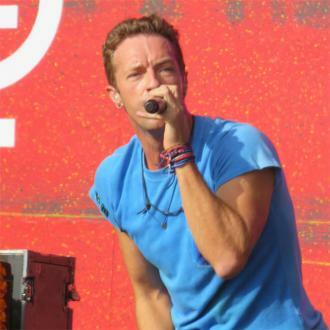 Coldplay star Chris Martin doesn't follow the mainstream with his religious beliefs. Quote: "I dreamt about Radiohead last night and Westlife the night before. Which is the perfect blend of what we're trying to do musically." Coldplay star Chris Martin gets subconscious inspiration from fellow British bands. Quote: "Why would we need to appear at Glastonbury, given that the best musician on the planet is headlining it? I find it pretty embarrassing. We came back to England the other day from being on a trip somewhere and there was all this hoo-ha. Coldplay not playing Glastonbury and Jay-Z playing. It is exactly what needs to happen to keep the world a good place. He's the best rapper in the world". COLDPLAY star Chris Martin is upset by media pressure to come to the rescue of the 2008 Glastonbury Festival, which critics insist has been ruined by the addition of rapper JAY-Z. Quote: "Being pregnant is hard for me; I really don't feel well, I'm very sick. I throw up all the time... (but) we'll see where life takes us." Gwyneth Paltrow on having a third child with husband Chris Martin. Fact: Actress Gwyneth Paltrow has had the letter 'C' tattooed on her hip as a sign of commitment to her husband Chris Martin, the frontman of rock band Coldplay. The Shakespeare In Love star had the $120 (GBP60) tattoo inked onto her hip so it can be easily hidden. Quote: "He sings lullabies all the time. He'll sing funny joke songs. They love his music." Gwyneth Paltrow on why her two children love having Coldplay star Chris Martin as a dad. Quote: "Chris Martin apparently didn't think it was funny. That bummed me out." Actor Paul Rudd regrets joking that only gay guys like British band Coldplay in The 40-Year-Old Virgin. Quote: "Coldplay are the modern Beatles, so I'd love to do a duet with them, especially Chris Martin." Justin Timberlake heaps praise on Coldplay. Fact: Chris Martin and Gwyneth Paltrow are selling their six bedroom New York property for nearly $14 million (GBP7 million) - they paid just $7.95 million (GBP3.98 million) for it two years ago. Quote: "He even sings well in the shower." Gwyneth Paltrow lavishes praise on husband Chris Martin's musicianship in the home. Fact: Gwyneth Paltrow and husband Chris Martin have bought a seven-bedroom home in New York State's posh Hamptons for $6.5 million (GBP3.6 million). Fact: Embrace frontman DANNY MCNAMARA has named Chris Martin and Gwyneth Paltrow the people he would most like to be with when he dies. 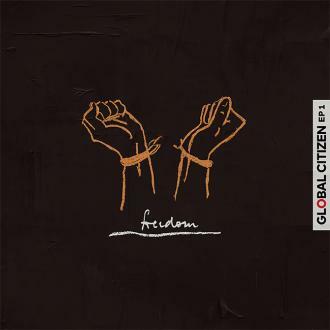 The COLDPLAY star helped resurrect Embrace's career when he penned hit track GRAVITY for the band. Fact: Coldplay frontman Chris Martin will perform at the 11th annual fundraiser for the Jonnson Cancer Center Foundation at Los Angeles' University Of California on 20 May (06). Quote: "MICHAEL could tell me to jump off a bridge and I'd do it." COLDPLAY star Chris Martin on his musical hero - REM's Michael Stipe.